Crayon Rocks are designed by a special needs school teacher named Barbara Lee, to teach children the correct pencil grip. Having worked with children for over 23 years, Barbara was searching for an effective writing tool to assist children with learning the correct pencil grip. Being inspired by occupational therapist Jan Olsen and her Handwriting Without Tears program. Barbara learned how important it was for children to develop a strong tripod grip early in their education process — handwriting skills depend upon this. Seeing that a simple tool to develop these skills in young children wasn't readily available, Barbara set out to develop one. Because of their shape, they do not allow kids to easily grip them in a closed fist, which deters fine motor development and are also more resistant to breaking. 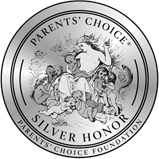 Children with cerebral palsy, autism, developmental delays and various forms of learning disabilities have tested Crayon Rocks in the classroom with outstanding results. Parents and teachers of special needs students often share how much their children love them. Through Crayon Rocks unique design, a child's fingers are naturally placed in the correct position for the tripod grip. 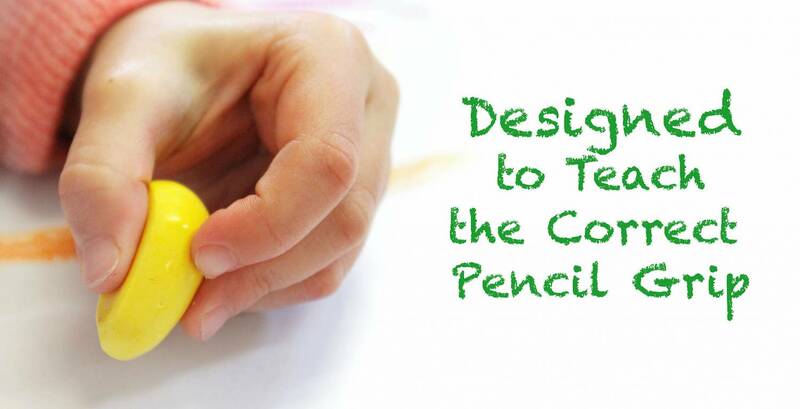 Learning the correct pencil grip with Crayon Rocks is easy, all you'll just need to get your child to color in, and our design will do the rest for you. Through use, your child will naturally learn the tripod grip and hand and finger muscles will gradually be strengthened in preparation for early writing skills. This is as simple as the above step, as our unique design will teach your child the correct position for the tripod grip. You'll just need to allow your child the time to color and create beautiful creations with their Crayon Rocks prior to any writing task. Using the Crayon Rocks prior to writing, will provide a gentle and natural reminder of the correct finger placement. After coloring, simply ask your child to begin writing. When first starting out, it is natural for your child to revert back to their old grip. Don't stress, as it takes a little time and practice to form a new habit. If you see your child reverting back to their old grip, wait for them to finish their word or sentence and simply ask them to color in another picture for a few minutes with their Crayon Rocks and then begin writing again. This process will need to be repeated, until your child is confidently holding their pencil in the tripod grip. Remember that each child is different, some may pick this up straight away, others may take a few weeks or even months. Working with patience and providing a positive, fun learning environment is key. Unlike most crayons, which are made of petroleum paraffin wax, Crayon Rocks are made from U.S. grown and processed Kosher soy wax. We combine this wax with natural pigments to create beautiful colors and a natural ground rock that gives the crayons their body. This creates a crayon that goes on smooth and blends easily. Crayon Rocks contain no phthalates and absolutely no nasties. Are Crayon Rocks Safe for Kids? We are committed to offering a safe and eco-friendly product. Crayon Rocks are non-toxic. Recommended for ages 3+. Made from soy and natural ingredients, Crayon Rocks are an environmentally better choice over traditional petroleum wax crayons. No phthalates and absolutely NO NASTIES. How Do I Know if my Child has a Poor Pencil Grip? We've created a short blog to assist you with this as it's a question we get asked EVERY DAY! We've compiled a list of the 8 most common signs that your child may have an incorrect pencil grip. Pop on over and check it on the next article "8 Signs of a Poor Pencil Grip".